Start benefitting from Matcha Tea Right NOW! It is a concentrated powdered green tea indigenous to Asia and is a rich frothy beverage or can be used in baking. It has a pretty distinctive taste, similar to wheatgrass and it is definitely earthy. Antioxidant Rich-provides protection against free radicals, which can damage your cells and tissues. Matcha is the highest rated concentration of antioxidants according to the ORAC test, which was developed by the USDA and Tufts to assess the potency of foods and beverages. Full of polyphenols, which provides the distinctive, pungent taste. . It is also believed to contain higher amounts of EGCG, which is a type of polyphenol, which helps reduce inflammation, which can be beneficial for those at risk for vascular disease or those that have known vascular disease. In fact, according to Dr. Mercola, regular consumption of green tea reduces heart disease risk by 31% and presumptively this increases for those that consume matcha tea. Weight Loss-increases your metabolic rate and increases fat burning potential by 17%, likely attributable to the caffeine. Stimulates the Brain-hello caffeine! It has 3x as much caffeine than a regular green tea because you consume the leaves. Potent anti-cancer prevention. 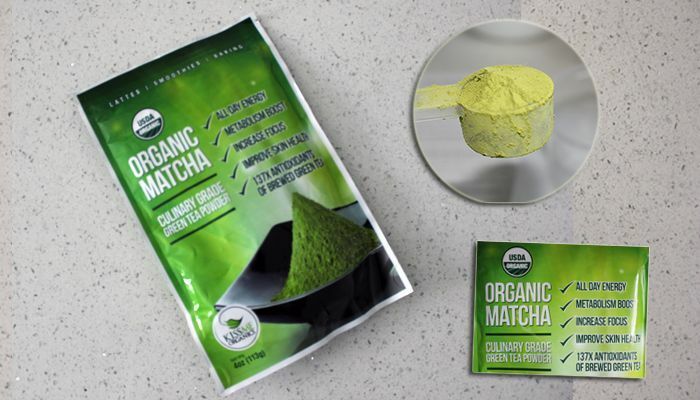 There is compelling data regarding the specific attributes that make matcha so beneficial, including polyphenols inhibiting tumor cell development and inducing cancer cell death (aptosis) and support for immune functioning. All green teas have trace amounts of lead and fluoride. It is worth it to purchase a higher quality, organic option. Since with matcha tea the entire plant is consumed, you are at a slightly higher risk of exposure to these heavy metals. Also, you are better off consuming tea made in Japan vs China for fear of lead contamination in the soils. Avoid if you are caffeine sensitive since it is so potent and do not consume on an empty stomach, as this will enhance absorption and therefore the effects. It may inhibit the absorption of iron and is not advised to use if you are pregnant, breastfeeding or in children. They weren’t bad.obviously, with our nut allergy family, we omitted the nuts, but the pancakes turned out ok! I think I may opt to just make a great cup of anti-oxidant rich Matcha Tea on days that I want a faster option. If you already use matcha, please feel free to share your favorite recipe! I’m all about using ingredients to help support my client’s goals, which are often preventative in nature and if something has the potential to increase weight loss that’s a win-win in my book!